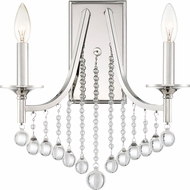 The Quoizel Lighting wall fixture selection includes both single and multiple light fixtures, vanities and wall sconces, available in a plethora of styles including Craftsman, contemporary, Tiffany, mosaic and traditional. Quoizel's light fixture glass choices run the gamut as well--amber crystal, antique seedy, feather art, alabaster and pewter ribbon, to name just a few. 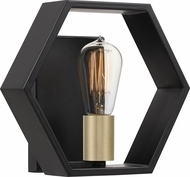 All of these designer wall light fixtures are high quality and affordably priced so you can be be sure to find the perfect light that suits your wall decor needs today.